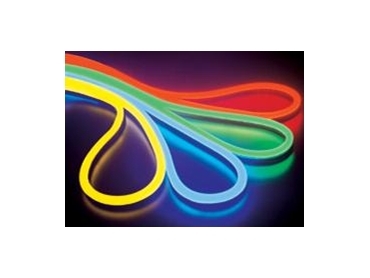 Robust Embedded Systems offers a comprehensive range of LED Neon Rope Light that employ LEDs with half-transparent or transparent plastic jackets to emit a stable and linear lighting effect, ideal for building outline decoration and sign making. Consists of high quality LEDs and can emit higher brightness at lower cost. Produce a continuous linear lighting effect as well as glass neon but save much more energy and work safely. Can be easily bent to any shape and installed with aluminium channel onto any difficult application area. With little heat, proper drive characteristics and high quality LEDs, LED Neon Rope Light has a life time of around 50,000 hours depending on the working environment. With IP66 protection degree, LED Neon can operate normally outside in cloudy, rainy and snowy weather conditions.